An explosion follows a Saudi-led airstrike on an army base in Sanaa, Yemen, Jan. 11, 2017. The two warring parties in Yemen have agreed to come to peace talks in Sweden, amid a push to finally end the civil war in the Arab world's poorest country. 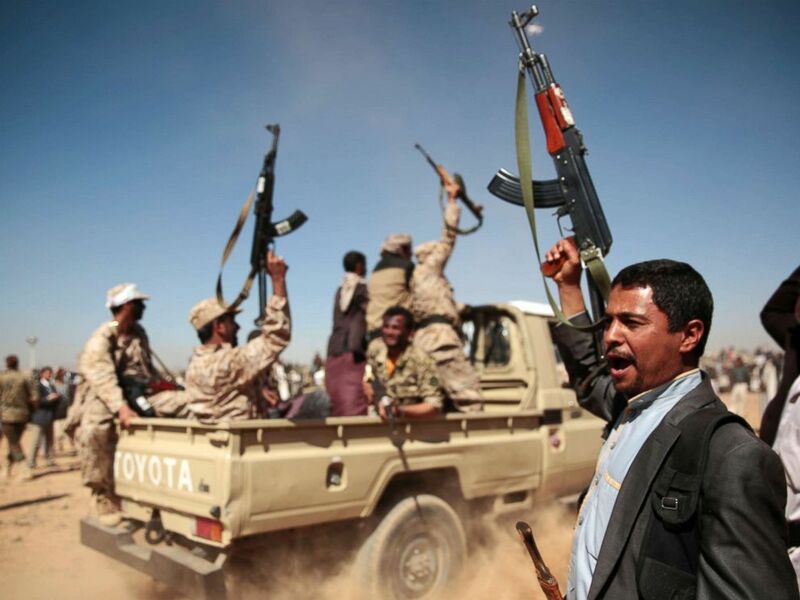 The Yemeni government, which has been militarily backed by Saudi Arabia and the United Arab Emirates, will participate in "consultations" with the Houthi rebels, a religious-political movement aligned with Iran, a diplomat familiar with the talks told ABC News. The announcement is the latest in a series of small steps of progress coming shortly after the two sides have neared a ceasefire. The Houthis announced Monday they would halt rocket attacks against Saudi Arabia and UAE, with violence in Yemen's main port Hodeida dying down as well. 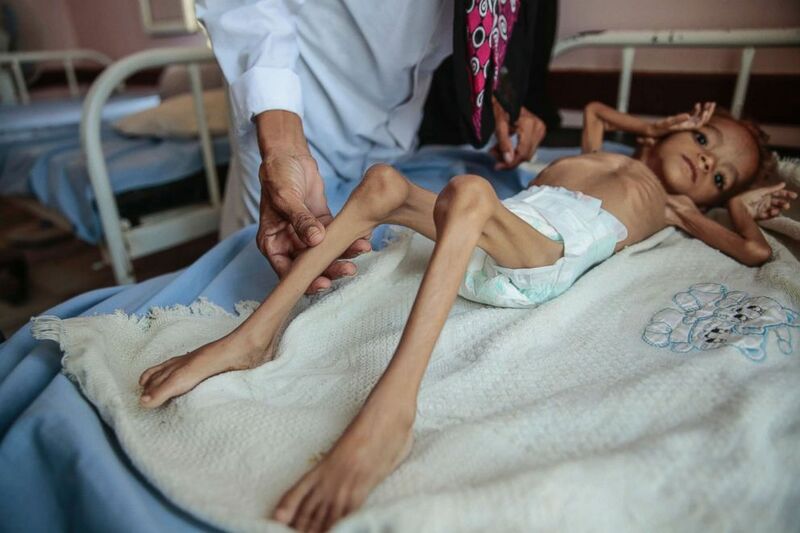 But peace talks cannot come soon enough for Yemen, where it's estimated at least 10,000 civilians have been killed, starvation and diseases like cholera are widespread, and 14 million sit on the brink of famine. Politics in Yemen are complicated, and the history runs deep. The Houthis draw their roots from an old Shia movement that formed in the 1990s to push back on Ali Abdullah Saleh, the first president of a unified Yemen who ruled from 1990 until he was forced to resign in 2012. 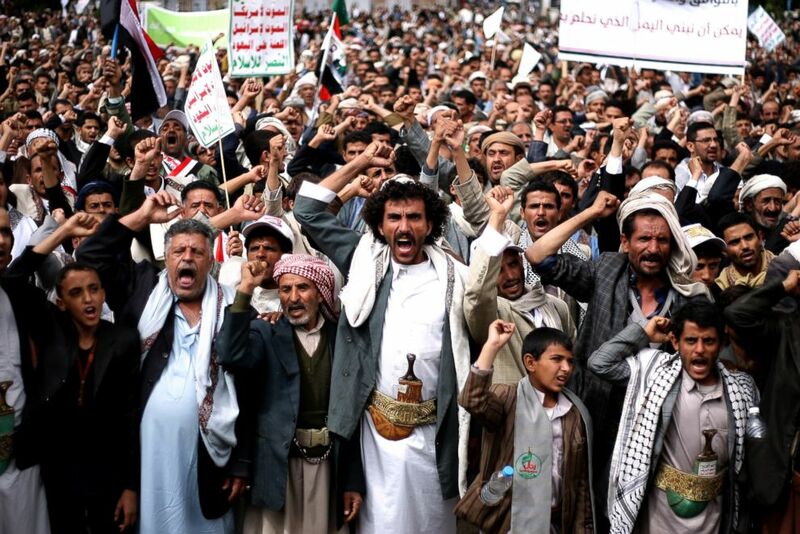 Houthi Shiite rebels chant slogans during a protest near the site of a suicide bombing in Sanaa, Yemen, Oct. 9, 2014. Saleh was driven out by the same forces that fueled the Arab Spring across the Middle East -- national uprisings over discontent with the state of politics and the lack of economic opportunities. In Saleh's place, his vice president Abdrabbuh Mansour Hadi took over in 2012, backed by the Saudis -- Yemen's richer and more powerful neighbor to the north. Yemen's ex-president Ali Abdullah Saleh gives a speech addressing his supporters during a rally as his political party, the General People's Congress, marks 35 years since its founding, in Sanaa, Yemen, Aug. 24, 2017. To get back into power, Saleh allied with the Houthis in 2014, and as massive protests pushed Hadi out of the country in 2015, their coalition, known as Ansar Allah, captured Yemen's capital Sanaa, the major port Hodeida, and more territory in the country's northwest. Fearful of the Houthis' ties to Iran, Saudi Arabia saw their march to power as a threat and went to war against them. The Saudis brought together a coalition including UAE, Bahrain and other traditional allies and began a military campaign in March 2015, with Defense Minister Crown Prince Mohammed bin Salman promising an easy, early victory. 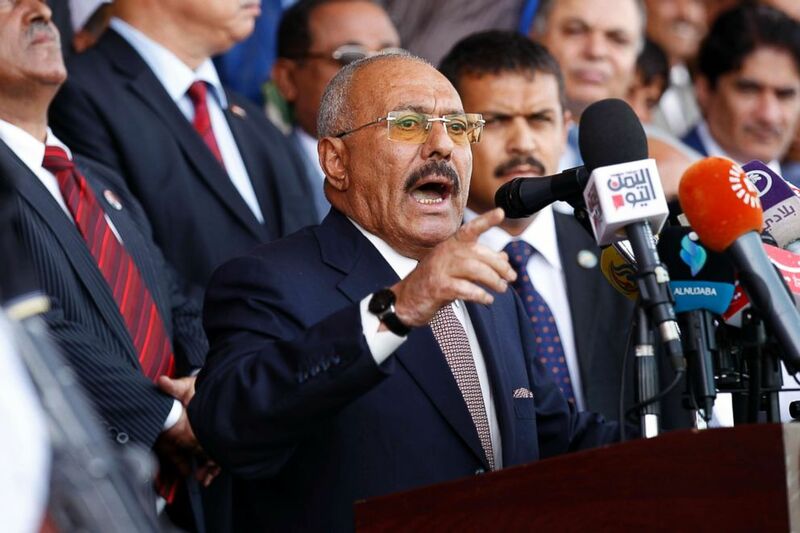 Their military support has been the muscle behind Hadi and his internationally recognized government against the strong coalition Ansar Allah, although Saleh broke away from the coalition and was killed days later in an assassination. According to U.N. reports, Iran has provided weapons to the Houthis in violation of a U.N. arms embargo. But some analysts say it's not as close a proxy relationship as Iran has with other groups, like Shia militias in Iraq or Hezbollah in Lebanon. After nearly four years, the Saudi coalition's air and naval blockade has choked off rebel-controlled territory -- and created a humanitarian disaster. 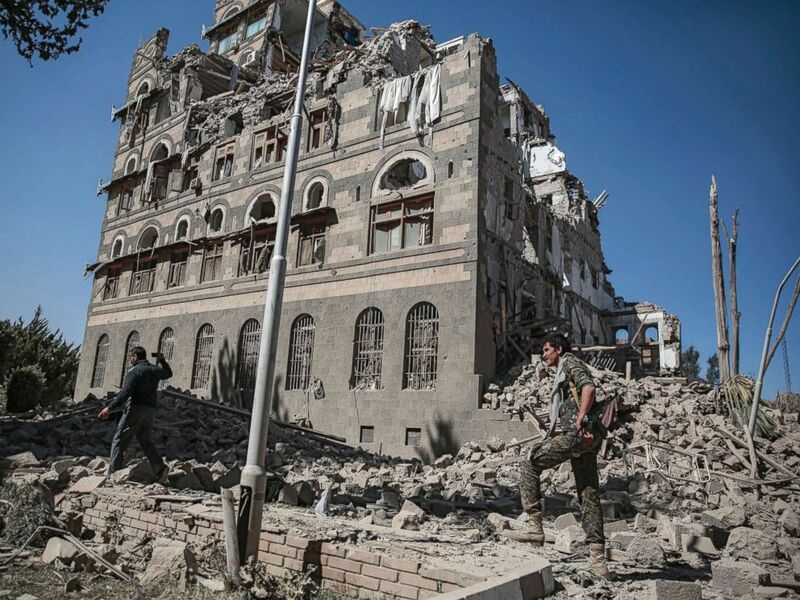 With fighting largely stalemated for months now, Ansar Allah is still in control of major population centers like Sanaa and Hodeida, but the Yemeni government controls a majority of the country's territory. Houthi Shiite rebels inspect the rubble of the Republican Palace that was destroyed by Saudi-led airstrikes, in Sanaa, Yemen, Dec. 6, 2017. Both the Houthis and the Saudi-led coalition have been credibly accused by the U.N. of war crimes. In particular, the Saudis have been accused of indiscriminately bombing civilians and targeting civilian infrastructure to starve off their opposition -- bombings that have garnered international outrage. In Western countries, that outrage stems from the U.S. and U.K.'s military support for the Saudis and Emiratis. 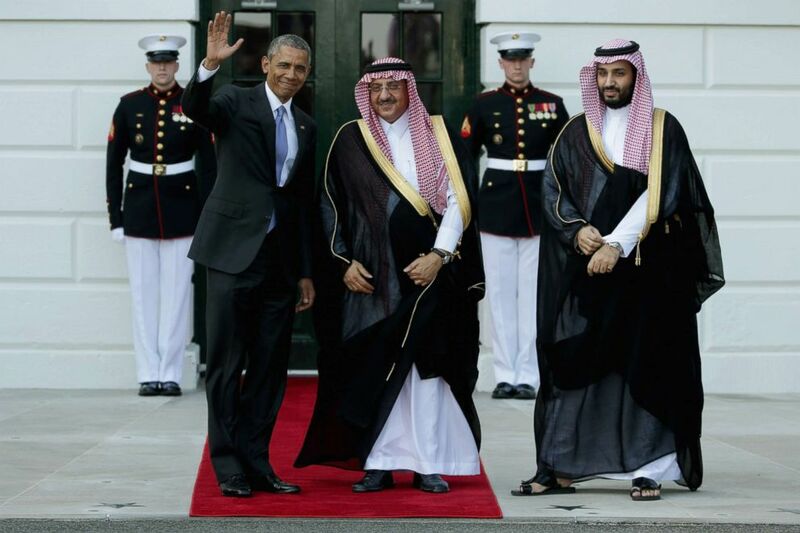 When Crown Prince Mohammed bin Salman began his campaign, the Obama administration supported him and the Royal Saudi Air Force, as the U.S. has for decades. Since then, the Pentagon has provided midair refueling for Saudi warplanes, assisted with intelligence and reconnaissance, conducted training to improve Saudi targeting, and sold them weapons and munitions. That's in part because perhaps the strongest branch of al Qaeda resides in Yemen -- al Qaeda in the Arabian Peninsula or AQAP. They have some of the strongest technical knowledge on how to produce stealthy bombs and sneak them onto commercial planes, presenting a threat to the U.S. and Americans. For years, the U.S. has conducted drone strikes against the group with the backing of the Saudi and Yemeni governments -- a campaign potentially threatened by the Houthis' rise to power. A tribesman loyal to Yemen's Shiite Houthi rebels, right, chants slogans during a gathering aimed at mobilizing more fighters into battlefronts to fight pro-government forces in several Yemeni cities, in Sanaa, Yemen, Jan. 3, 2017. The Trump administration has also highlighted Iran's support for the Houthis as a sign of Iran's "malign" activity in the region, saying their support for Saudi Arabia is about pushing back against its regional rival across the Middle East. When asked in a recent interview why Americans should care about Yemen, Secretary of State Mike Pompeo cited AQAP and Iran, saying the terror group "continues there to plot terror attacks on the United States of America" and Iran "continues to provide missiles and artillery that threatens Western interests." But in recent months, calls for the U.S. to end that support for the Saudi coalition have yielded some results. A bipartisan group of lawmakers in Congress have pushed the Trump administration to end any assistance, leading to an end to midair refueling earlier this month. The death toll in Yemen is in dispute, in part because it has become so difficult to report. Despite the ongoing carnage, for years the number that has been widely cited is 10,000 people killed after it was first mentioned by the U.N. in 2016. The U.N. High Commissioner for Human Rights' office reported in April that 6,300 civilians had been confirmed killed, meaning the victims' name, age, and address were verified. In this Oct. 1, 2018, photo, a severely malnourished boy rests on a hospital bed at the Aslam Health Center, Hajjah, Yemen. But analysts say those numbers are conservative, to say the least. In fact, according to the Armed Conflict Location and Event Data Project, a research group that studies violence, nearly six times that amount have been killed in fighting since 2016, not the entirety of the war and excluding those killed by disease or starvation. The group Save the Children estimated last year that 130 children die every day from hunger and disease, with 50,000 children expected to die in 2017 alone. While Yemen has been historically poorer than its neighbors, the war has exacerbated the situation and created a humanitarian crisis. The Yemeni economy has collapsed, leading to sky-high prices, little to no income for the majority of Yemenis, and few able to afford food or other basic necessities. While the warring sides siege cities or blockade ports, the world aid delivered to the country is often blocked from finding its way to those in need. Amid the starvation and violence, health care facilities have also been destroyed. All of that could now put up to 14 million Yemenis on the brink of a famine, the U.N. warned in October. While a famine has not been declared, the U.N. Under-Secretary-General for Humanitarian Affairs and Emergency Relief Coordinator Mark Lowcock told the Security Council last week most fatalities occur before a famine is declared. "Yemen remains the largest humanitarian disaster in the world," Special Envoy Martin Griffiths said Friday. "The fight against famine is ongoing. Women, children, and men are dying from preventable diseases. The economy remains on the verge of collapse. This requires urgent action from all of us."